This beautiful pendant features the mandala mansion of Chenrezig, also known as Kuan Yin. It brings strong protection from the Buddha Avalokiteshvara and protects against all mishaps and misunderstandings. Wearing this pendant attracts the precious blessings and protection of Kuan Yin to overcome premature death, accidents and financial misfortune. 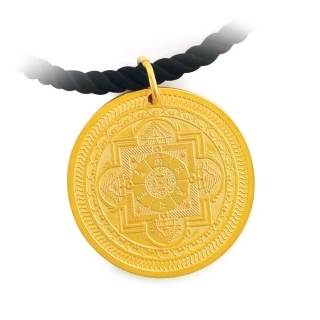 Wear it close to your body to avert misfortune and empower it by chanting the mantra of Chenrezig: OM MANI PADME HUM.